Why is the SharpBrows microblading course the best option to learn microblading in London? 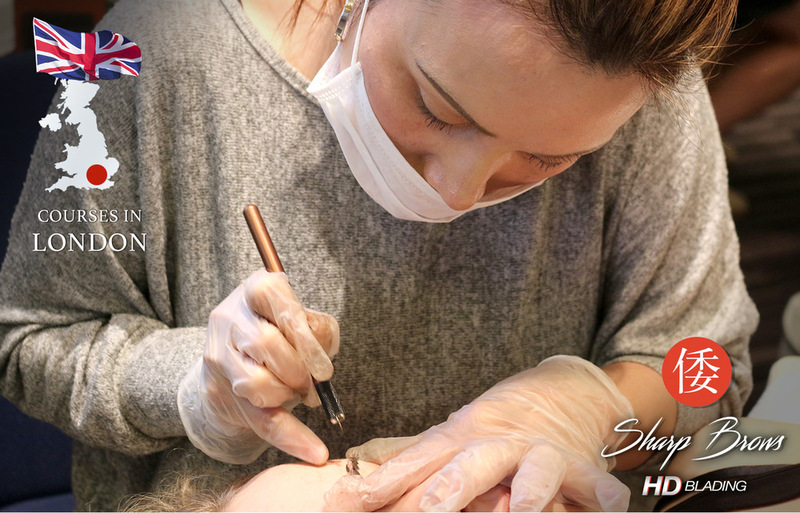 Small groups of 2-3 students guarantee very personal approach from SharpBrows master Siiri Tabri. All students can actually practice on many models. This leads to completing the procedure on their own on the last model. The course includes practical brow-business section that gives the participant all she needs to start making more money with microblading in UK. All students get their first HD before & after images as well as promotional materials to get their microblading business started. Students will ACTUALLY learn the art of microblading and start providing microblading services after the course. Here is just a sample of a microbladed eyebrow that a SharpBrows student Kim accomplished on the second day of the course. With intense SharpBrows training in small groups the results are far better than participating on larger class-room style classes. The major difference between SharpBrows and countless other academies teaching microblading is very simple. 95% of our graduates will actually start providing microblading services. No matter what others claim their ratio to be, the industry average when it comes to microblading trainings is below 15%. A sad fact that thrives our success. The place to start your journey to microblading mastery! 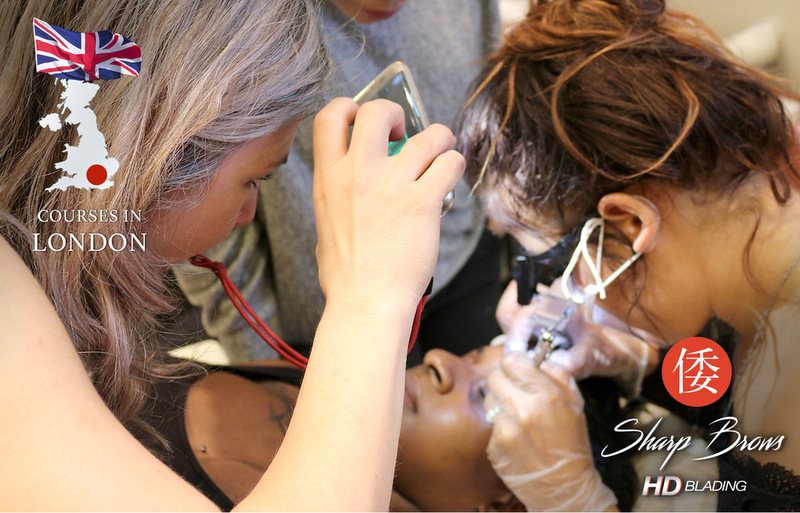 SharpBrows Microblading Academy is a series of training programs for mastering microblading techniques in order to be able to provide your clients flawless SharpBrows microblading and Browshading procedures. At the moment SBMA (Sharp Brows Microblading Academy) operates in 4 countries: Switzerland, Sweden, Finland and Estonia. At the moment SBMA provides two SharpBrows Microblading courses: SharpBrows Microblading Beginner and SharBrows Microblading Master program. This training is meant for students that have not participated in any other microblading training and want to learn the basics of this skill. Very often those include small salon owners, beauticians and makeup artists. It is not required per se for the student to have previous knowledge about permanent or semi-permanent makeup, makeup in general or brow grooming. However, we have found in practice that the learning process starts much more rapidly for all the students if they know the basics. 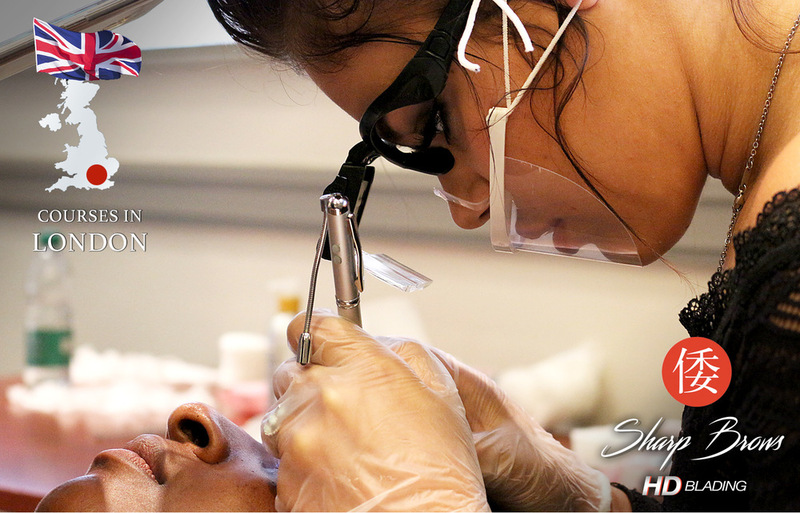 Some pictures from SharpBrows training in London depicting the course of the class over 2 days. 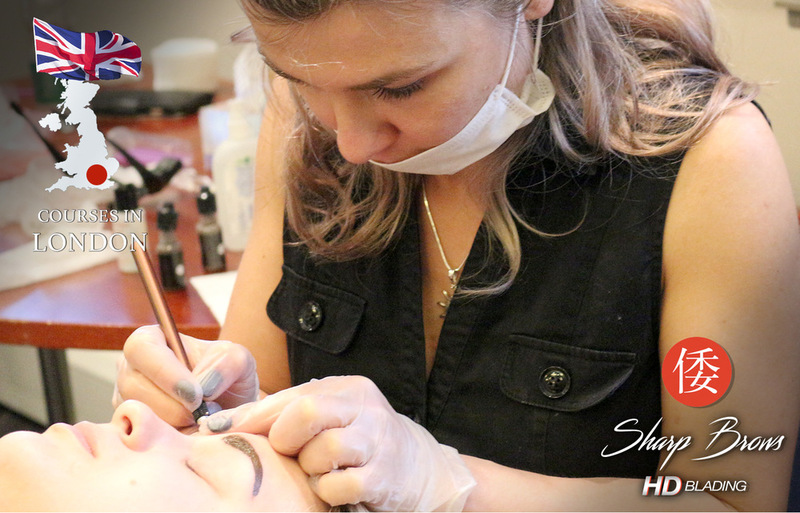 This SharpBrows training is carried out in small groups of 2-3 students. We have realized that this is essential to guarantee that the students get enough support to learn the skill on such a short time to be able to perform the procedure themselves as soon as possible. Before the training. To speed up the learning process and save more time for actual practicing all students are given access to SBMA special web-based training environment. The reason for that is simple: this way we do not need to spend time during the course to deliver the material that can be read beforehand. As members of our team have been to many beauty and microblading trainings we have experienced that the priceless time of the teacher is often wasted on talking about (or even reading) basic theoretical material. However, the approach of SBMA does not mean that we would not take the theoretical part seriously - on the contrary: we allow students to read the theory so that they would already be able to ask questions about the parts that were harder to understand. As we also test the theoretical knowledge at the very beginning of the course the results allow the teacher to set the focus on the parts of the material that need to be explained in more detail. Intro. Getting started; House rules; Introduction of all students; Goal of the training, Expectations. Our approach and what sets SharpBrows apart. Background. The art of microblading, SharpBrows approach; The advantages of permanent and semi-permanent makeup; The background of brow shading. Result changes. Difference between fresh and healed resutls; How will the actual result change during the first weeks after the procedure? Workplace. Setting up a workplace for microblading; What do you need? How to keep it safe? Hygiene when performing the procedure; The reasons to keep it clean. Preparing yourself. Mental attitude, beliefs, questions, focus. Practical ways to concentrate and improve your ability to be successful. Preparing the client. Openness, client-intro; questions; signing the client-contract (included in the starter-kit); The sequence of events; Regulating client expectations. SharpBrows tool. What tools are used for the procedure? The artistic pen; Different needles, needle sizes; Which needles to choose? Measuring tool. The golden ratio measuring tool; How to use the measuring tool. Pigments. Different pigments; Heavy metals in pigments, natural pigments, different producers; reasonable prize for re-stocking your pigments. Longevity of the result. How long will the pigment remain in the skin? Different skin types; Makeup; Skin health; How will your skills affect the longevity of the result? Preparing the tools. Disinfection of the microblading tools; Sterilization; Actual legal standards regarding hygiene and cleanlinessin different places. Skin. What happens during the procedure; Preparing the client skin; Cleaning; Hygiene; Dangers for you and for the client; Different client skin types. Refusing the procedure. When to refuse the procedure? STD-s; Other viral illnesses; Allergies; Moles, scars, freckles etc; Pregnancy, brest feeding;Skin diseases; Client age; permanent tattoo; Alopecia areata. Hair. Brow hair; Hair growth; client hair color; Choosing the right pigment color for the client; Explaining the choice to the client. Different microblading styles. Different approaches, D-s (3D, 6D, etc); SharpBrows style. Anesthesia. Numbig the pain before the procedure and after the procedure; How will anesthesia affect the results of the procedure? Special cases. SharpBrows on top of permanent tattoo, on top of another microblading, on top of hairless skin. Correction procedures. Asian version. The basics; When to use it? Pros and cons. American version. The basics; When to use it? Pros and cons. European version. The basics; When to use it? Pros and cons. Background. Where does the brow shading come from? History; Relation to PMU. Use cases. When to offer and when to use brow shading. Pros and cons of using brow shading. Browshading technique. SharpBrows + Browshading technique. The best possible brows. A large chunk of the first day is spent on practicing drawing the brow shape. For that we first learn to use the goldern ratio tool. Then we learn to measure perfect looking symmetrical eyebrows. This is a practical workshop where the trainer works personally with each participant. We have understood that the strenght of the basics influences the practical learning curve to a great extent. And that is the reason we spend quite a lot of time on that practice. 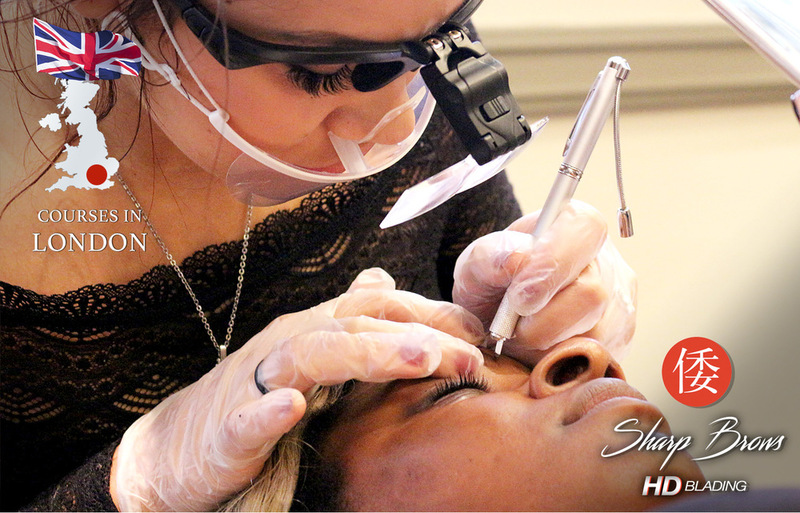 A SharpBrows master performs a showcase procedure on a model, demonstrating everything that has been learned on the first day - SharpBrows + Browshading. It is greately enlightening because all the participants can gets close look how to do it themselves. A procedure itself takes around 2 hours (because master also explains all the steps she is taking). That is followed by discussion where the trainerr answers all the questions in relation to the practical microblading procedure part of the training. As there is no other way to learn microblading but by practicing, the first part of the day is spent actually creating SharpBrows microblading on a model. In case you do not have a model, we'll provide you one. The SharpBrows master is involved in the process to a great extent. All the participatns will get actuall feedback about their own work and they will be able to learn a lot from their own mistakes. The SharpBrows master conducting the training gives all the participants actual feedback about mistakes made and analyzes each result differently. During the discussion part each student gets a check-list of the mistakes to avoid int he future when performing SharpBrows procedure. As there is no other way to learn microblading but by practicing, the second part of the day is spent actually creating SharpBrows microblading on the second model. In case you do not have a model, we'll provide you one. Obviously, again the SharpBrows master is involved in the process to a great extent. All the participants will get actual feedback about their own work and they will be able to learn a lot from their own mistakes. The procedure performed on the second model will also be rated by the master. All the participants will receive a list of criteria with actual rankings form the trainer. Basically performing the procedure on the second model can also be considered the actual test of the course because it is carried out without pauses and as close to a real life microblading scenario as possible. As a rule a practitioner is involved when this part of the training is carried out. 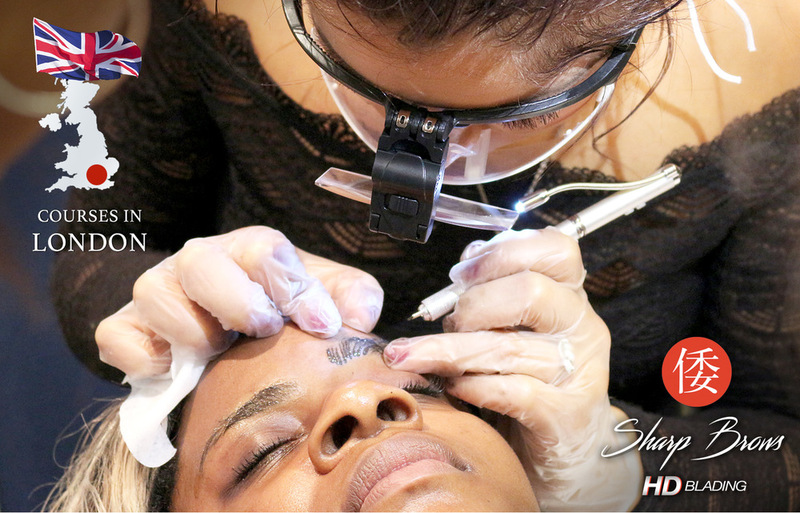 We analyze the actual situation of each participant and work out a strategy how she (or he) would be able to get started with the SharpBrows microblading business. This part includes (but however is not limited to) creating marketing, social media growth and client relationship building strategies to all participants. As a result of this part each participant will get a concrete action-plan that maximizes the possibility of success in her (his) microblading business. During this final part all the participants are able to have the final discussion about SharpBrows microblading and get final instructions from the trainers. Dipolomas indicating participation at the course are given to each particpant. *- As our actual aim is to teach the participants to learn the craft, clients are not restricted to use cameras during the training. What will the participant get additionally from the course? SharpBrows Golden Ratio measuring tool. As an addition to the kit the student also gets pigments of her (his) own choice so that there would not be any obstacles to starting practicing the procedure of SharpBrows microblading. Certificate. All students passing the class will get an official SharpBrows Artist certificate. However when they also show that their work has reached the level of the SharpBrows Professional, another certificate will be added additionally to the students name and sent to the student. Client contract. Students also receive all the legal documents they need to sign with their clients so that starting the service would also be easier. Client materials. Participants get flawlessly produced beautiful client materials that make the selling procedure of the service greatly easier. The cost of the course is 1899 £. Discounts for power-couples of two students that know each-other. Booking fee for the course is about 30% of the total cost. It isnon-refundable in caste the student can not / does not want to participate at the class. Yes, I have a friend and we wish to come to the course together.